Interesting title, I know. This one can be looked at a few different ways, so let me elaborate a bit. So as you can see, there is a difference between a major city’s population, and a major urban area’s population; as noted in the 2 different lists above. Since every city/area has its own borders, tax laws, and rules, population sizes will vary; which is why it’s always good to look at both when analyzing numbers/data. Okay, enough fact finding. Let’s get down to business. For purposes of the article that inspired this post, NerdWallet used “metro area” to calculate its numbers. In my opinion, that’s a more valuable approach as it more closely looks at each different “area” in its entirety; not just within “city” limits. This is where Philadelphia performs very well. When you look at our local MSA (Philadelphia, Camden, and Wilmington), Philadelphia’s real estate market is affordable. How affordable exactly? Well, out of the Top 10 largest MSAs, Philadelphia ranks #2 in affordability (just behind Atlanta, Sandy Springs, and Roswell) and #24 out of the top 100 US metro areas. Considering Philadelphia is the 5th largest city in the US, and the 6th largest metro area in the US, that’s pretty d*mn good. Why, you may ask? Because it means that Philadelphia has a lot to offer its local residents as a major US city/area, while keeping its home ownership cost low. Since owning a home is typically the largest expense any person/couple/family carries on a monthly basis, this bodes well for those who live in/around Philadelphia. To top it off, this study doesn’t account for location; and you all know I love to talk about Philadelphia’s convenient US location. So to summarize my own opinions/thoughts, Philadelphia is an affordable urban area to own a home and a convenient urban area to live in. In my profession, those are the 2 most important reasons why people choose to buy real estate. 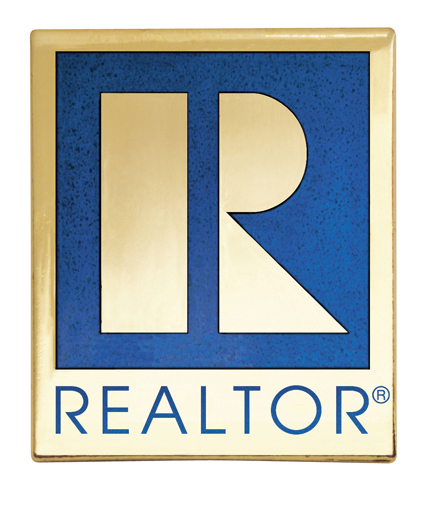 Another common real estate question: What does it mean to be “Represented” by a REALTOR? As promised in October 2015, I have written another educational post on the topic of real estate. If you are a regular PUL.com reader, you know that I typically like to discuss development, local happenings, and all things related to Philadelphia and its Suburban Towns. Let’s mix it up a bit again, shall we. When we hear the terms “Represented” or “Representation,” it is referring to what is called “Agency.” In real estate, there are all different forms of agency: Buyer Agent, Seller Agent, Dual Agent, etc. As a buyer or seller (e.g. someone who is interested in buying/selling real estate at some point in the near or not-too-distant future), it is important to understand what these different roles mean as well as to learn why real estate agents even have roles at all. The fundamental principles of the agency relationship date back hundreds of years, and evolved from what was known as the “Master/Servant Relationship” under English common law. If we time warped a few hundred years back, servants owed their masters absolute loyalty. This undying loyalty overruled any/all of the servant’s personal interests, as well as loyalty owed to other people. This concept is not all that different today, except for the fact that I’m not serving tea at Downton Abbey but I’m helping people buy and sell real estate in the Greater Philadelphia area. Not a huge difference, but one that should be noted. Today, an agency relationship in real estate is when one person (a buyer or seller) delegates to another person (a real estate agent) the right to act on his/her behalf in a transaction. There are also certain duties that an agent must provide to his/her client, such as: Obedience, Loyalty, Disclosure, Confidentiality, Accounting, and Reasonable Care & Diligence. It’s these duties that create a fiduciary relationship between a buyer and an agent, or a seller and an agent. If you have bought/sold real estate before, I’m sure this is starting to sound familiar. If you have not, I hope it’s starting to make sense. Simply put, an agent who acts in the buyer’s best interest. It’s when a buyer chooses to work with a specific real estate agent and broker (by way of a Buyer Agency Contract) who then works exclusively on his/her behalf, even if the buyer agent is paid by the seller (otherwise known as a cooperative transaction, or co-op for short). When you buy a home, there are traditionally 3 options to consider: 1) Choose a buyer agent, 2) Choose to work with the seller’s agent (who would then also become your buyer agent, aka Dual Agent; we’ll get to that), or 3) Choose no agent at all (which is more common in a private sale or FSBO). Option 1 allows you the most freedom/flexibility as a buyer and entitlement to the fiduciary duties, Option 2 entitles you to limited fiduciary duties, and Option 3 entitles you to no fiduciary duties. What’s interesting is that in most cases, Options 1 & 2 involve the buyer agent getting paid by the seller, whereas Option 3 will either involve the buyer paying a lawyer/attorney or just representing his/her own interests. This is not in all cases, but it is in most cases when you buy/sell a home in PA. Staying with the simplicity theme here, an agent who acts in the seller’s best interest. It’s when a seller chooses to work with a specific real estate agent and broker (by way of a Listing Contract, or Seller Agency Contract) who then works exclusively on his/her behalf. When you sell a home, there are traditionally 2 options to consider: 1) Choose a listing/seller agent, or 2) Choose no agent at all (again, through a private sale or FSBO). Option 1 allows you the most freedom/flexibility as a seller, entitlement to the fiduciary duties, and the highest amount of selling/marketing exposure; Option 2 entitles you to no fiduciary duties and more-likely-than-not the least amount of selling/marketing exposure. In selling a home, you typically pay for all real estate commissions (traditionally in PA, that amount is 6% and based on the purchase price). If there is both a buyer agent and a seller/listing agent involved in the transaction, that 6% fee is typically split in half (unless specified otherwise by the seller/listing agent). I mean why would I give up on the simplicity theme here, as it seems to be working out so well. It’s an agent who represents both the buyer and seller in the same transaction. Sounds a little intense, right? In all honesty, it can be. Choosing to work with a dual agent puts both the buyer and seller in a tight spot, let alone the agent involved. Dual agents owe limited fiduciary duties to both buyer and seller, which means he/she must take a neutral stance in the transaction. In other words, it’s hard to get good advice when someone can’t really advise you. So why then would anyone choose to work with a Dual Agent? Well, there are some instances where it is more common. In the case of experienced buyers and sellers, they may even prefer to work with a dual agent as both parties already have a good understanding of the real estate process in PA and it may allow for a more seamless experience. It may even give both parties a sense of comfort due to that particular agent’s level of knowledge, experience, credibility, and professionalism. So as you can see, dual agency can come into play sometimes, but most times it’s not what buyers and sellers choose to do. That is why single agency exists, to represent clients as either a buyer agent or as a seller agent. It gives both the buyer and seller the opportunity to choose their own agent for all of the various reasons mentioned above. Bottom line, as I have mentioned in past blog posts, there is a lot at stake in real estate. Buying or selling a home is one of the most important transactions in a person’s life, and one that merits guidance from an industry professional. Someone who has earned a license, and who is qualified to help you make good decisions from start to finish. Therefore, you should expect the unexpected and choose your own agent when you have the opportunity to do so. It provides both freedom and flexibility, and entitles you to fiduciary duties. Referrals have always proven to be one of the best places to start. If you do not know anyone in real estate, or are moving to a new town, city, and/or state, online reviews will guide you along your home-buying or home-selling journey. What “divide” am I referring to? The Schuylkill River waterfront of course, or the gap between Center City and University City. The quote above was borrowed from the article that produced this post, as I like to give credit where credit is due. This may seem like a small issue compared to some of the other large ones Philadelphia is currently facing today: public education, competitive business taxes, aging infrastructure, etc. But … sometimes the smallest issues are the ones most overlooked, and in turn, create the biggest opportunities for growth. A recent article on Philly.com went into brief detail about the transformative idea to put a large, structural cap over the 30th Street rail yards. You know, the rail yards you see while flying down the expressway on I-76 East (on the right, where I-76 & I-676 meet). Yup, that big thing over there. In my world, those same rail yards are considered prime real estate. Now, some may say that spending all of that time, money, and effort on building new structures above an existing/busy area of approximately 175 acres would be a waste (especially with all of the other development opportunities that exist in Philadelphia today). Please note, I would not be one of those naysayers; and here is why. The 2 main reasons that Philadelphia is performing so well in 2016: 1) Center City, and 2) University City. The Navy Yard is a close 2nd, but UCity wins the prize. So, if Center City & University City are the core of Philadelphia’s economic growth and prosperity in 2016 and beyond, wouldn’t it then make sense to hold accountable the land in that particular area to its highest and best use? What I also like about this plan is that the rail yards would remain as-is, still carrying thousands of passengers every day between NYC & DC. The stakeholders involved (i.e. Drexel, SEPTA, Brandywine, etc) would be using the air-rights above the current infrastructure to see their vision through. 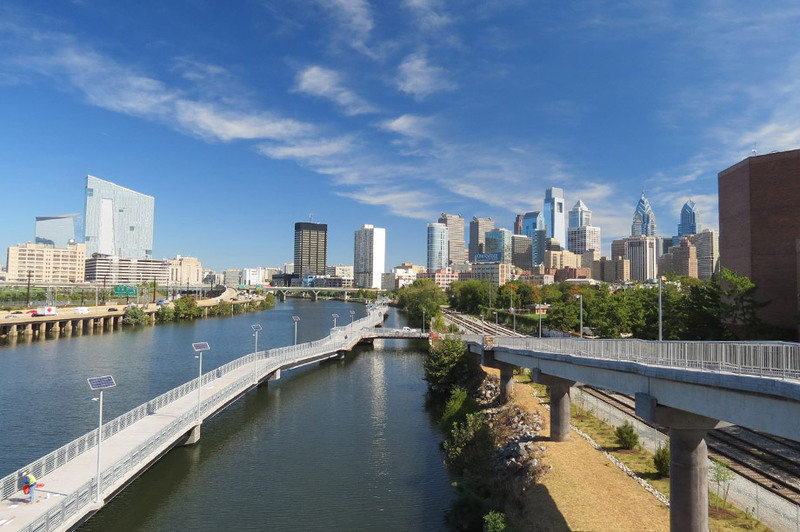 Some features include 3 walkways across the Schuylkill River (easily connecting thousands of daily pedestrians to both downtown areas), mixed-use buildings (i.e. offices, residences, etc), and new green space (i.e. parks, stormwater solutions, etc). Not only would this project increase the surrounding property values due to its size and scope, but it would help connect Center City & University City in a more business/pedestrian-friendly way (e.g. those who commute and get around Philadelphia by foot, bike, skateboard, hoverboard, etc). Today, CC & UC almost seem like 2 separate downtowns. For additional reading, here are 2 past blog posts that discuss 30th Street in further detail.